In order for newborns to achieve proper sensorial, cognitive and motor development, it's a good idea to use activity blankets. The tips in today's article will help you choose the one that's right for your baby. Babies connect with the world around them through their senses. During their first months of life, exploration is purely sensory. Hearing, touch and sight are their main pathways to discovering their surroundings. Activity blankets are an excellent tool to help develop these senses. Thanks to activity blankets, babies have the possibility of taking in new textures, sounds and colors simultaneously. Some activity blankets are made for cribs, but blankets that go on the floor are more advantageous to child development. These blankets have a wide variety of colorful and flexible accessories that favor learning and play. Generally, these gyms possess different elements that hang down from a bar. They encourage newborns to exercise and explore their surroundings. Activity blankets for babies put defined shapes within your baby’s reach. While playing face down, babies gradually learn to lift their heads up and acquire greater mobility in their hands. Babies must be able to move freely in order to come to know their body’s potential. From a very young age, you should place your baby face down on the activity blanket. This will encourage muscle and back strength, which are both important in learning to sit up. Being close to different colorful objects, shapes and diverse textures motivates children to learn and discover. 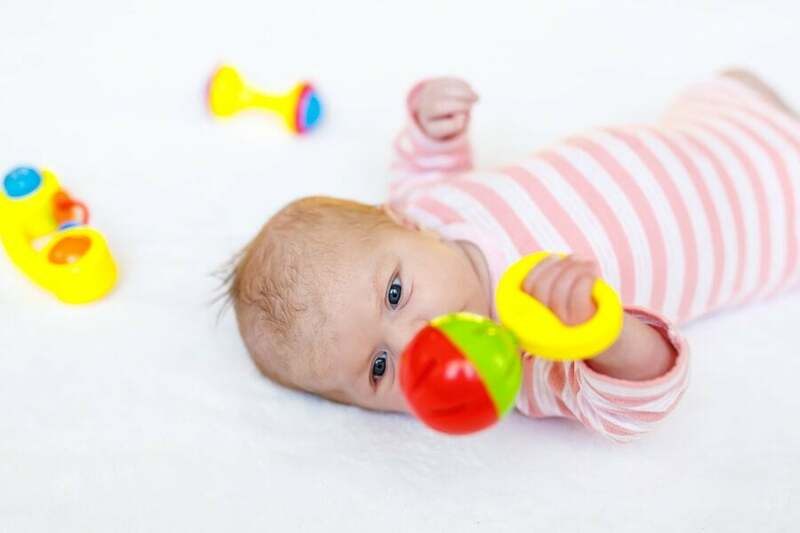 Teethers, mirrors, and rattles are all useful items that will help entertain and stimulate your little one. 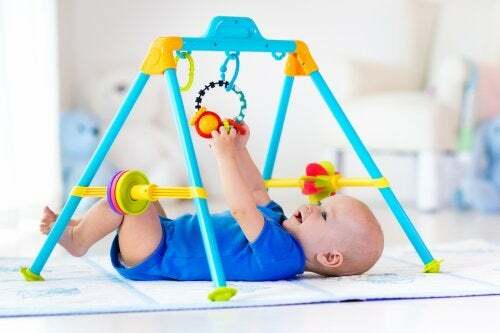 “Baby gyms” are great for contributing to arm and length strength. They have a soft arch that crosses over them and encourage children to stretch out their limbs. This favors coordination and also allows them to exercise all the muscles in the body. While using activity blanket toys, children learn about cause and effect. Their sensory development goes hand in hand with their cognitive development. This learning contributes to children’s every increasing sense of autonomy. Lastly, it’s important to point out that being face down prevents plagiocephaly – or flat head syndrome. When children spend most of their time face up, it can lead to the flattening of the back of their heads. This is completely preventable with the help of “belly time” – time spent face down. Activity blankets for babies age 3 months and up: During this stage, babies begin to feel the need to explore the world around them. While they’re still unable to differentiate between colors, they can distinguish between different contrasts. Toy blankets for up to 6 months of age: It’s amazing to observe how well babies assimilate the relationship between their own movements and their surroundings. As they stretch out their hands to find an object, they experience all sorts of sensations: Auditory, tactile and visual. If an object really catches a baby’s attention, he or she will repeat the game several times. Gradually, children come to recognize their own toys and even choose some favorites. Activity blankets for 7 or 8 months and up: At this point, it’s ideal for babies to have activity blankets that offer different textures: Smooth, fuzzy, crinkly, squishy, etc. They now have conscious control over their fingers and are able to differentiate between each surface. Between the 7th and 8th month of life, grey matter in children’s brains evolves immensely. They begin a stage of deep reflection that brings them to create their first mental categories and structures. They’re perfectly capable of distinguishing which sounds, colors or textures are more or less pleasing. Activity blankets for babies are great because they stimulate various senses at the same time. 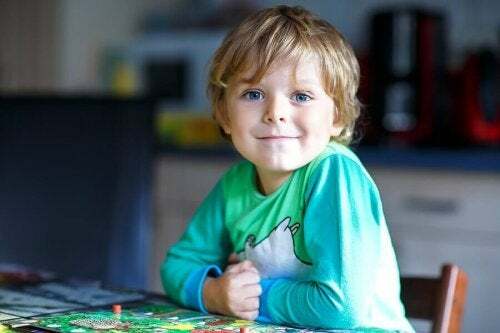 Up to 2 years of age: Even though children have a natural inclination to play on the floor, don’t underestimate the importance of activity blankets. These tools are beneficial even when children already know how to walk. Unlike many other baby objects, these don’t take up a lot of space. Plus, it’s comforting for little ones to know they have their own space. To conclude, activity blankets for babies provide countless benefits for little ones. From 3 months to 2 years of age – and beyond – their conglomeration of colors, textures and shapes accompany each step in your child’s development.